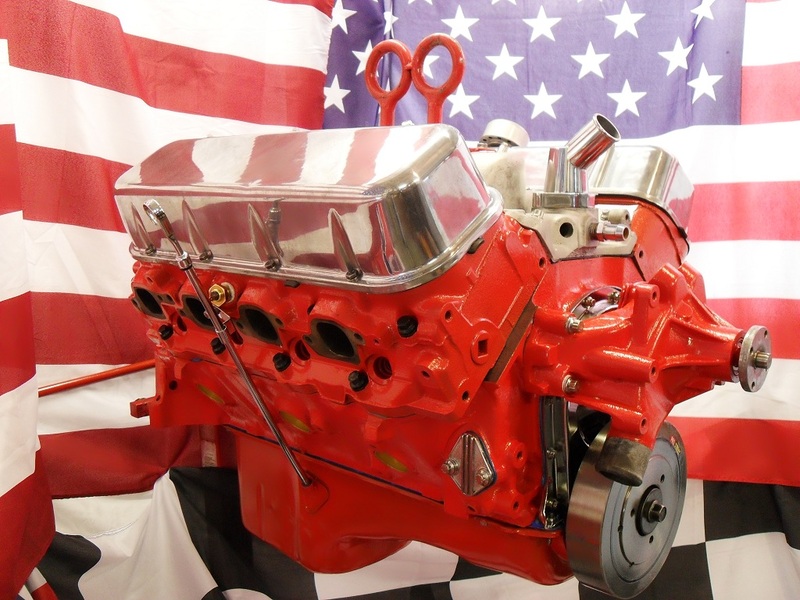 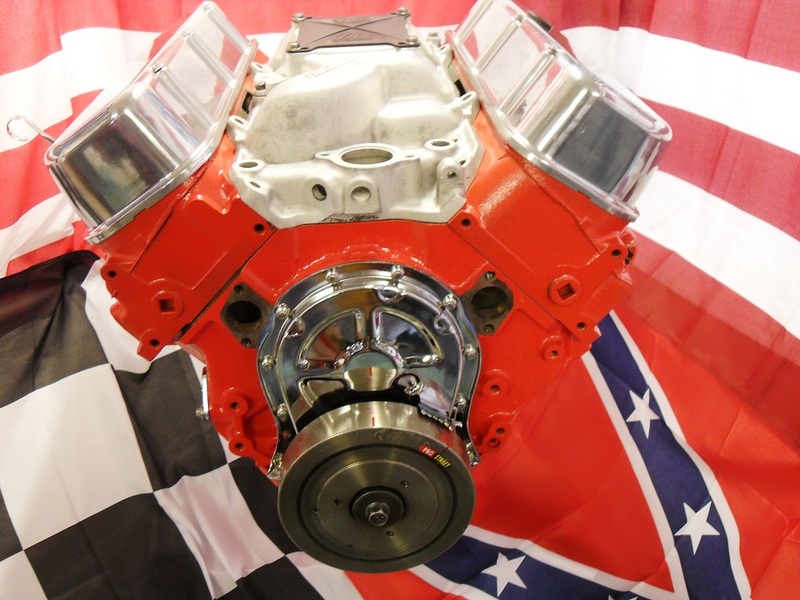 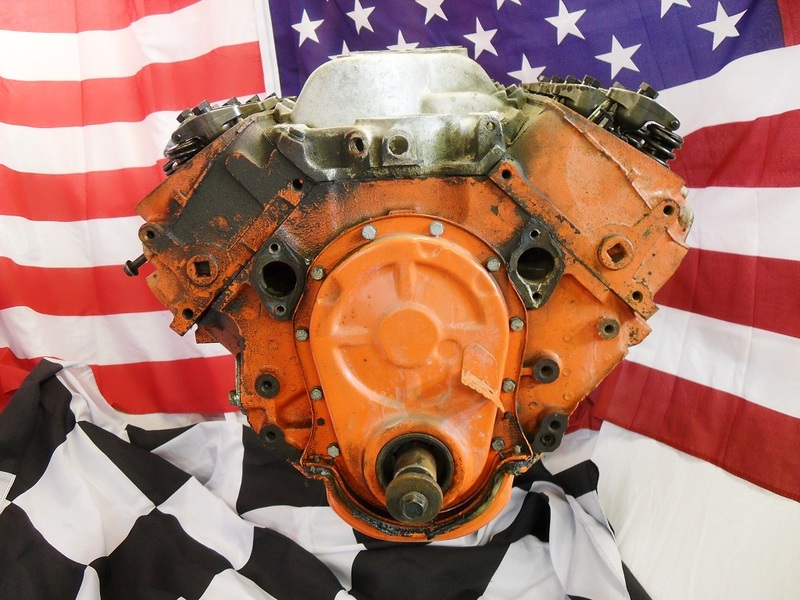 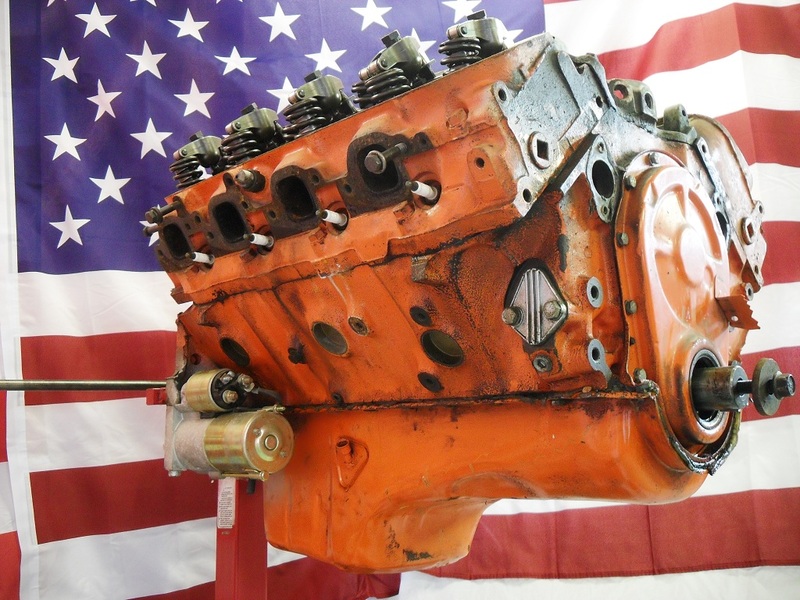 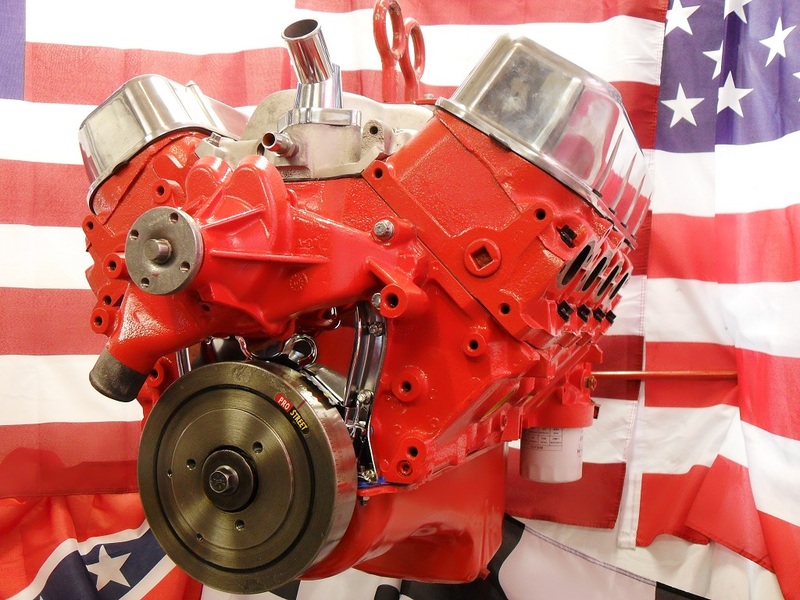 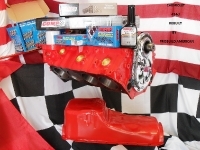 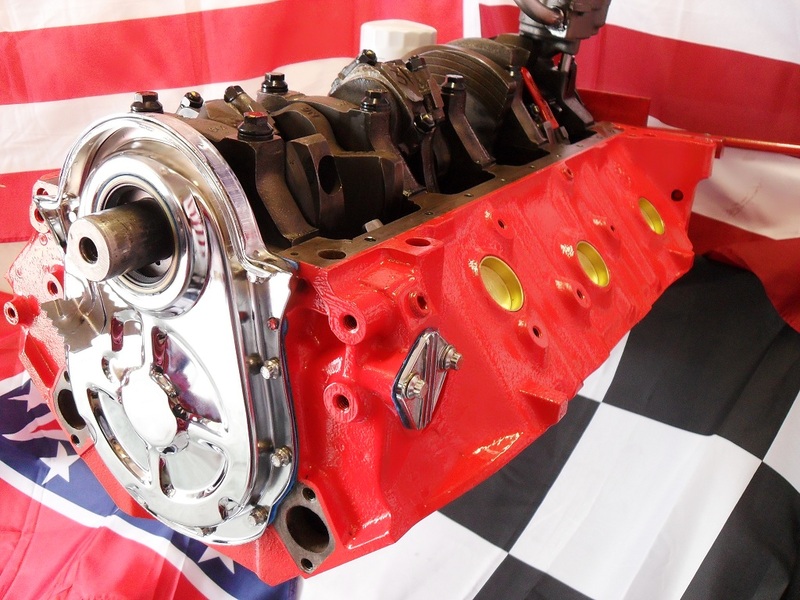 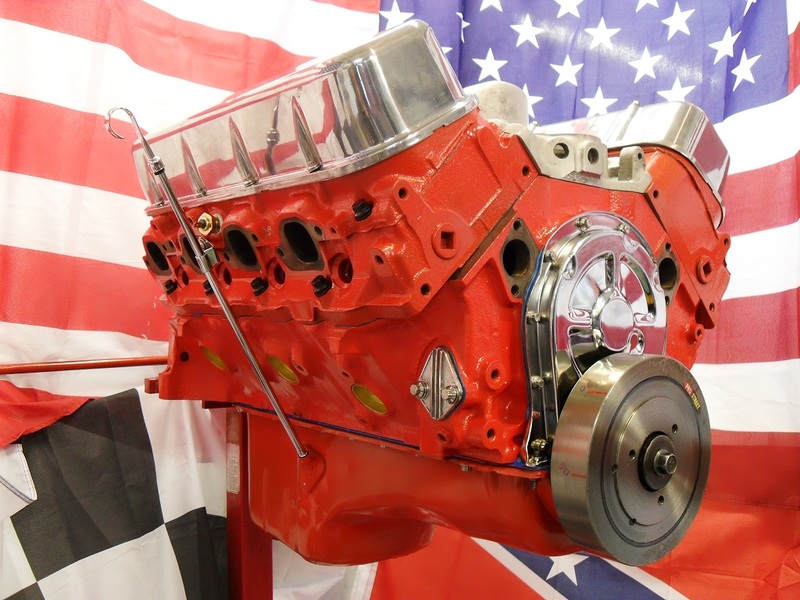 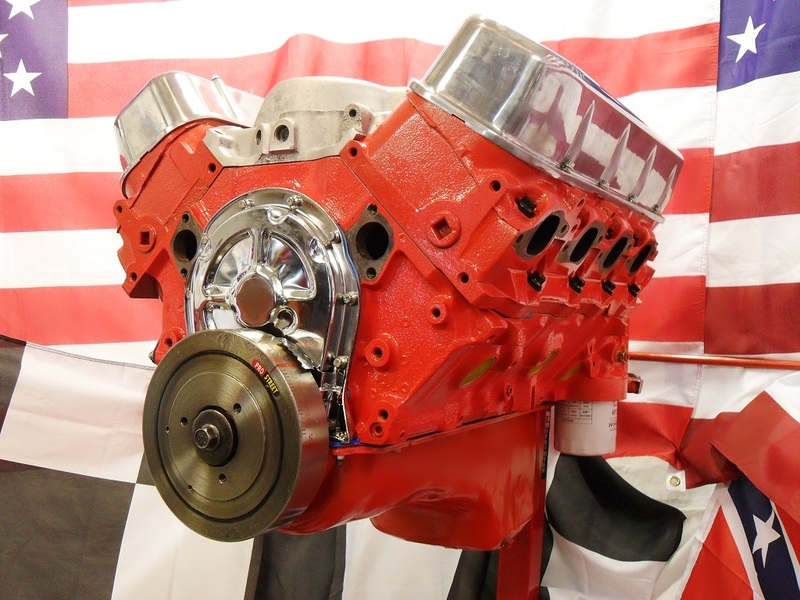 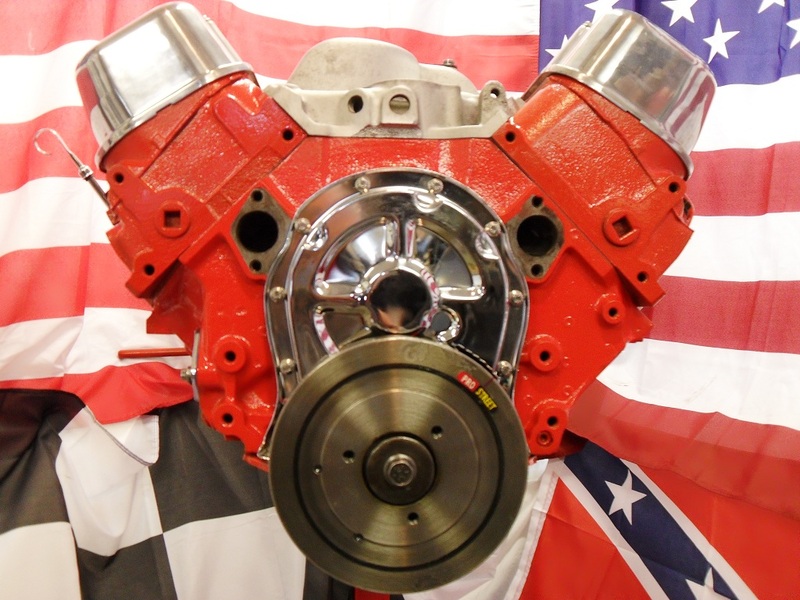 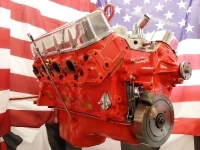 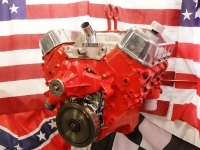 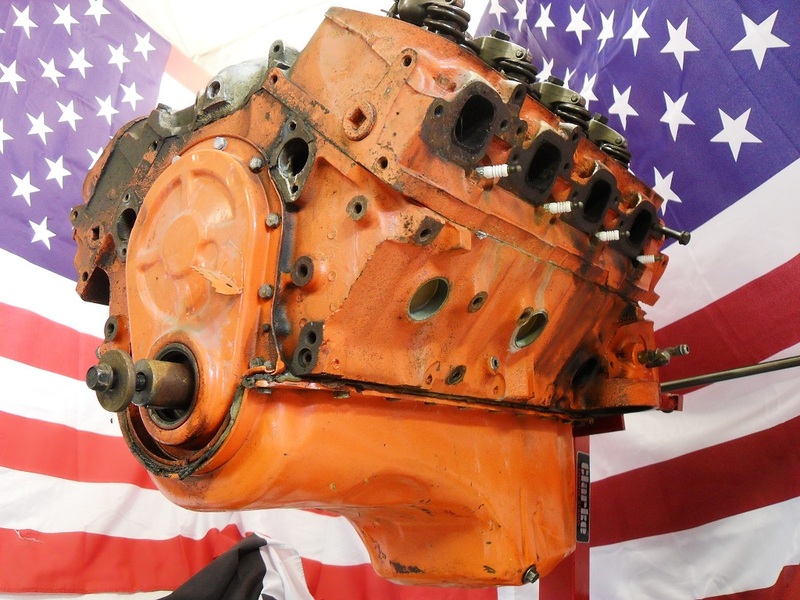 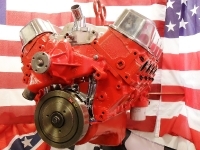 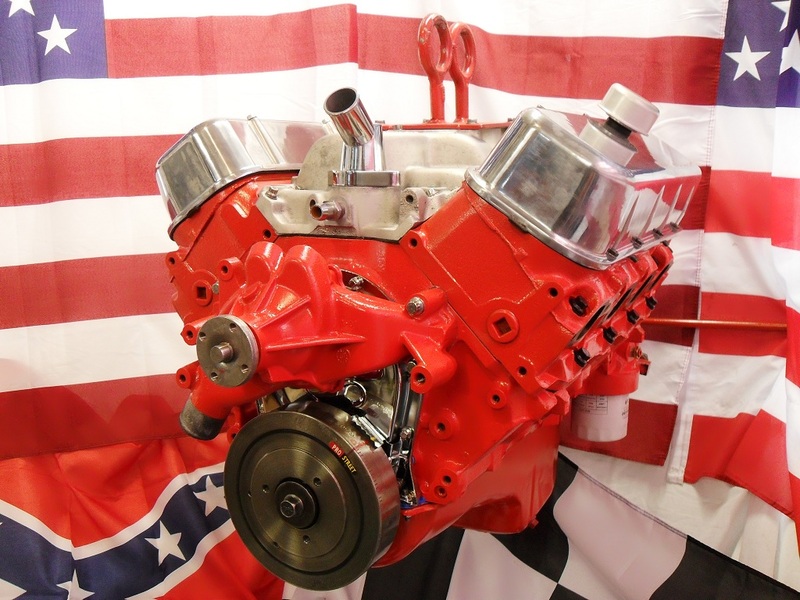 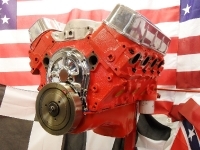 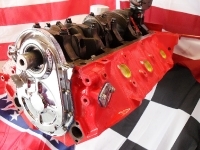 This 454 Chevrolet is suffering from a knock knock knock from the bottom end and also has a noise in the camshaft area, strip it out and have a look is the only option. 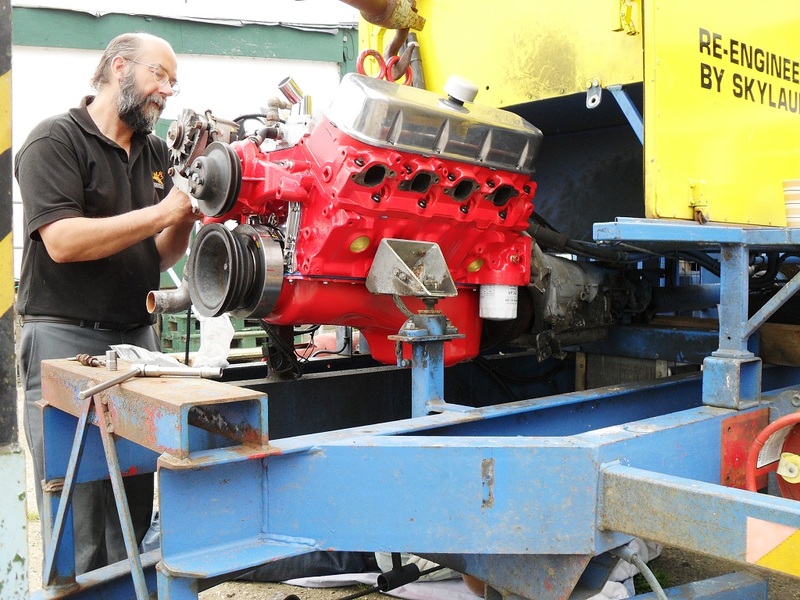 On strip down of this 454ci Chevrolet big block we found it in quite bad shape, at sometime in the past it has had a liner fitted in number 8 bore and has evidence of a rod running free in there at some time. 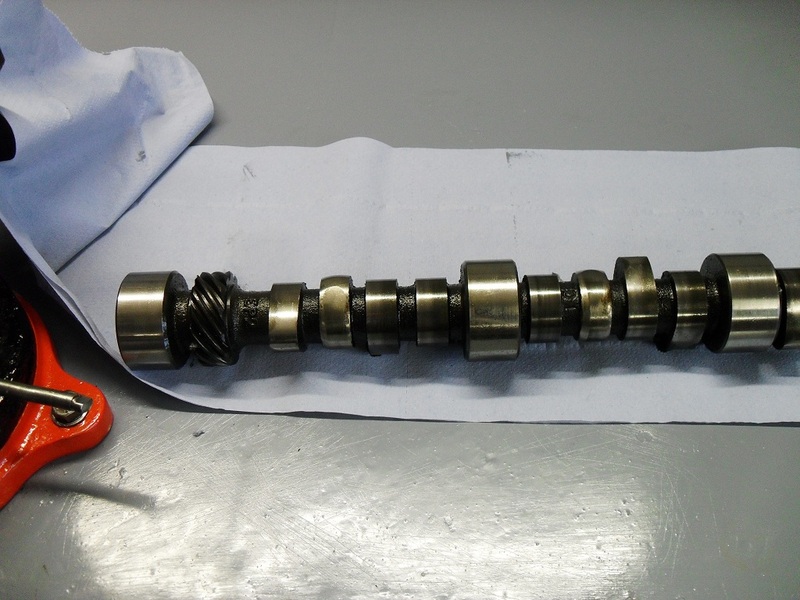 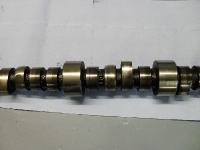 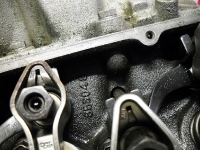 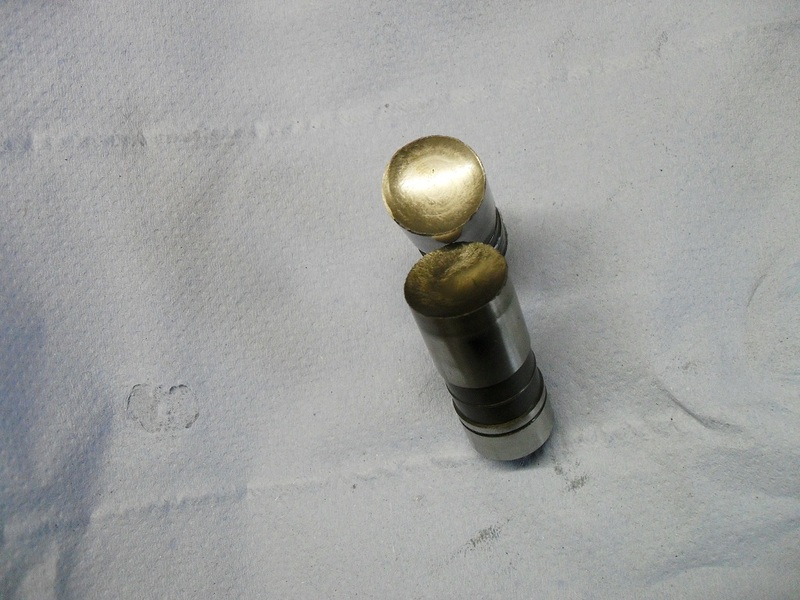 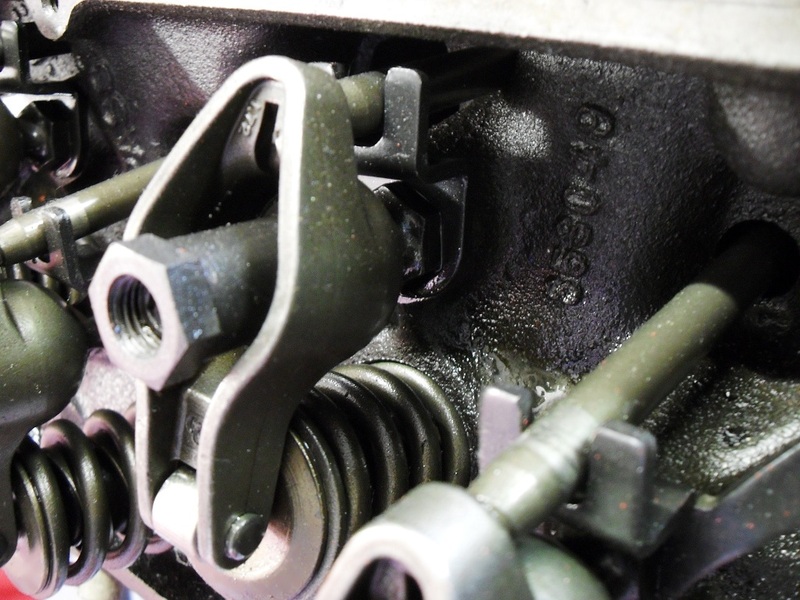 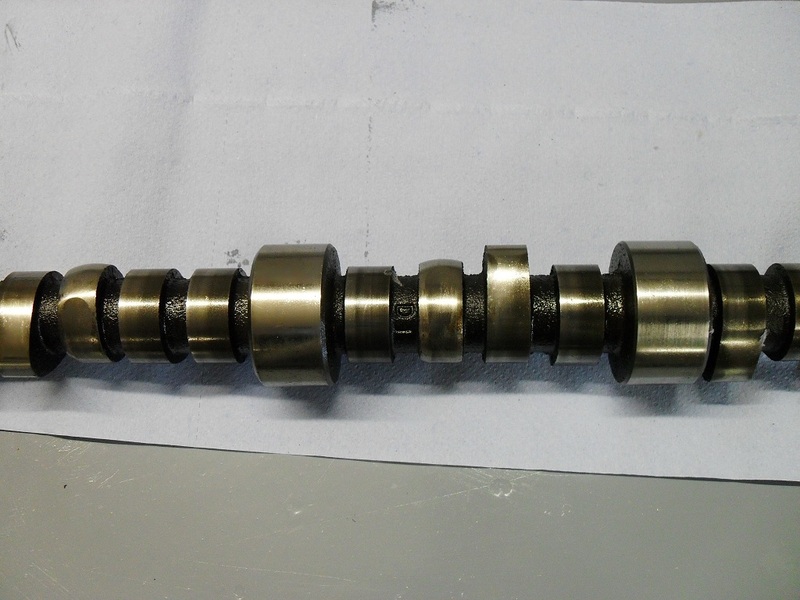 The camshaft lobes are worn, two or three are almost non existent, lifter bases are concave, all that metal is in the oil and in the engine somewhere doing damage to vital components, particularly rod, main and cam bearings, they are all shot! 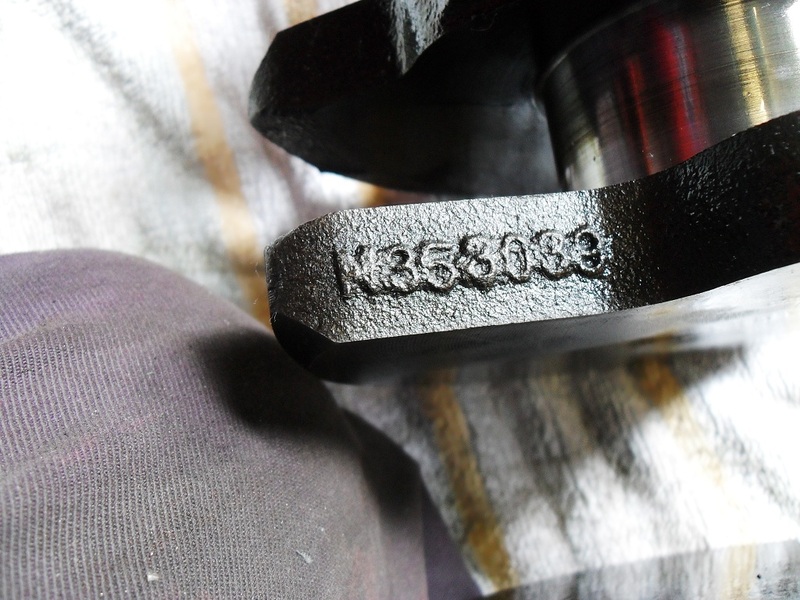 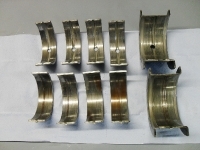 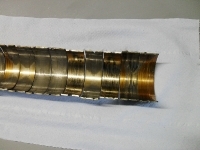 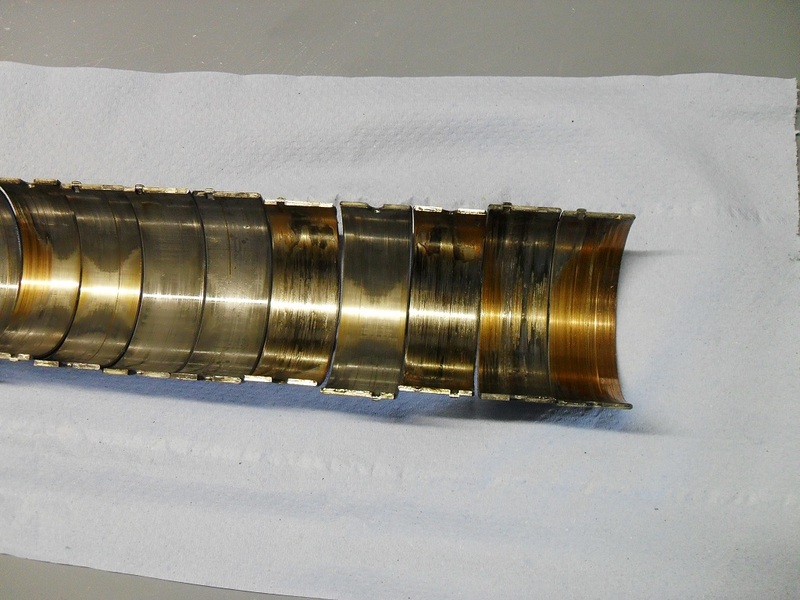 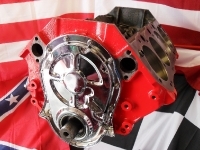 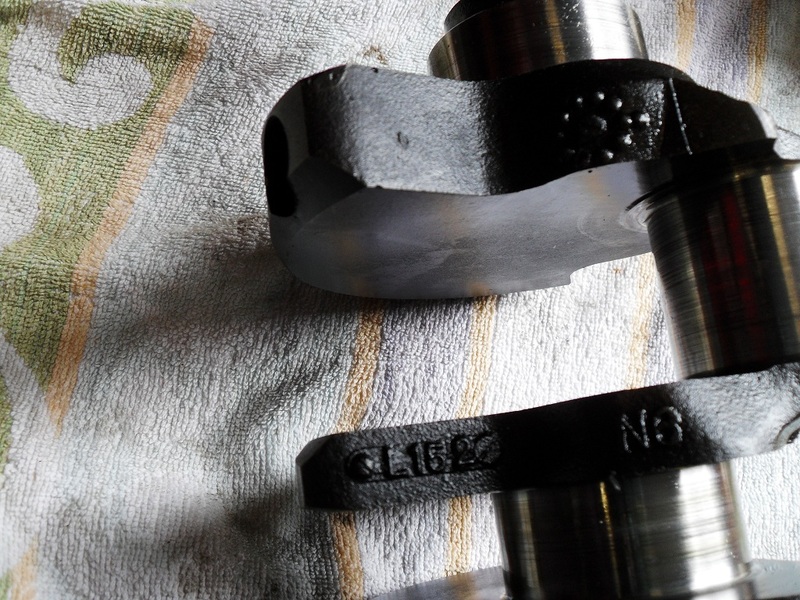 We have completely cleaned all engine parts and carefully inspected every item, surprisingly the bores look quite good and will go again, the piston’s are at +040 now so we don’t want to go bigger unless we really have to so this time it will be a hone and new rings. The block has been ground and smoothed inside and out, all casting flash has been removed and oilways improved where necessary. 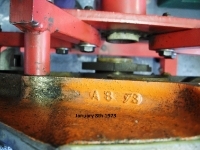 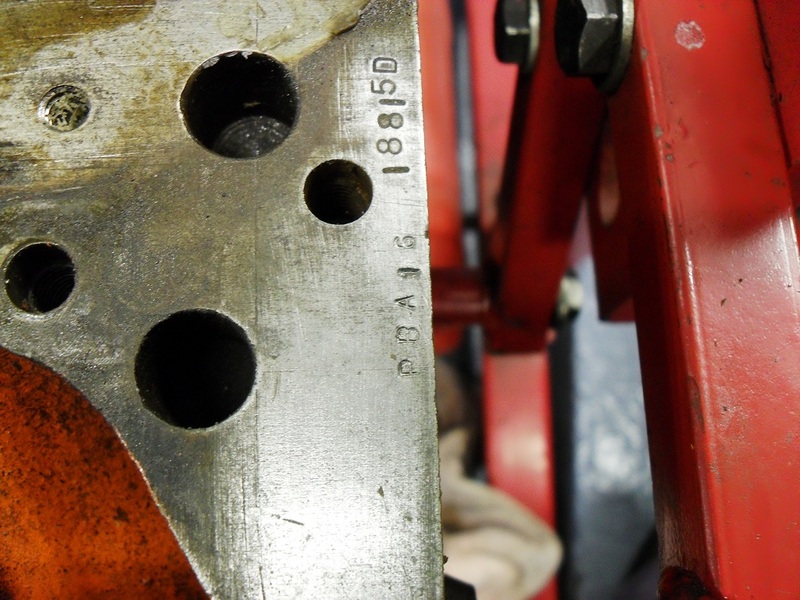 Main bearings have been lined up with the gallery oil ways and the cam bearings loaded into the block with great care to ensure correct alignment. The crankshaft needs grinding and again this is going to it’s limit at +040 on the rods and +030 on the mains, in some applications it would be ok to go further but with the hard working life of this glider winch going further is not an option. 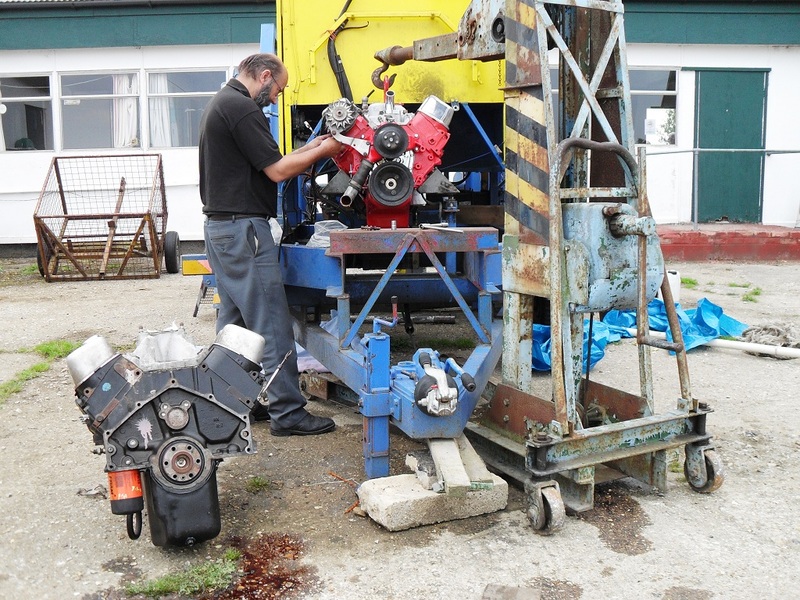 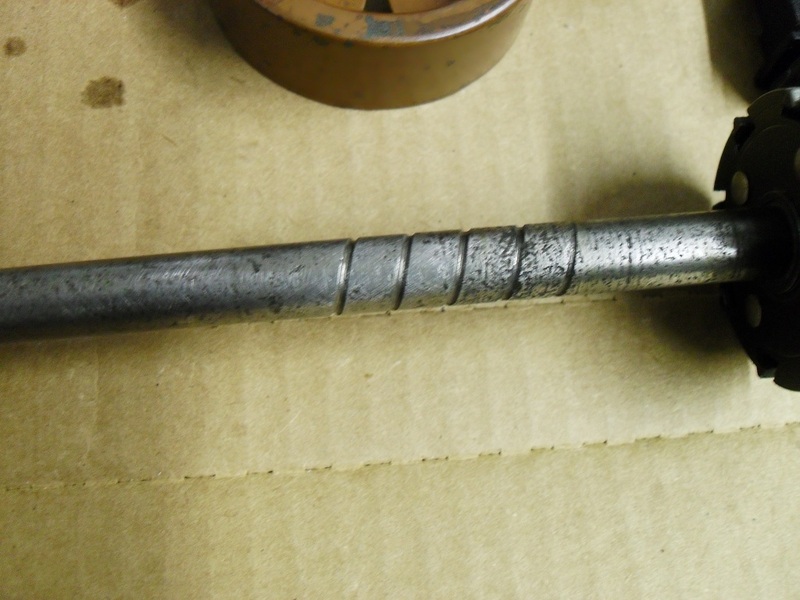 One con rod has been replaced as it was beyond saving, all eight rods have been fitted with new ARP bolts and resized, pistons have been cleaned up and inspected and are good to go again. A new oil pump has been primed and a new pickup /screen fitted, we are using a new hardened oil pump drive shaft to ensure there are no breakages, also careful attention is paid to the location/height of the new oil pickup screen, when it’s in the right place we will put a tack of weld on it to ensure it stays where we put it. 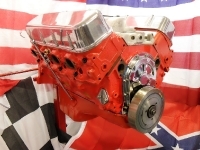 I have lost count of the times we have stripped an engine and found the pickup laying in the bottom of the oil pan, not much good there ! 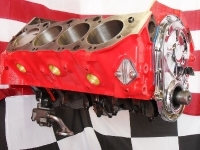 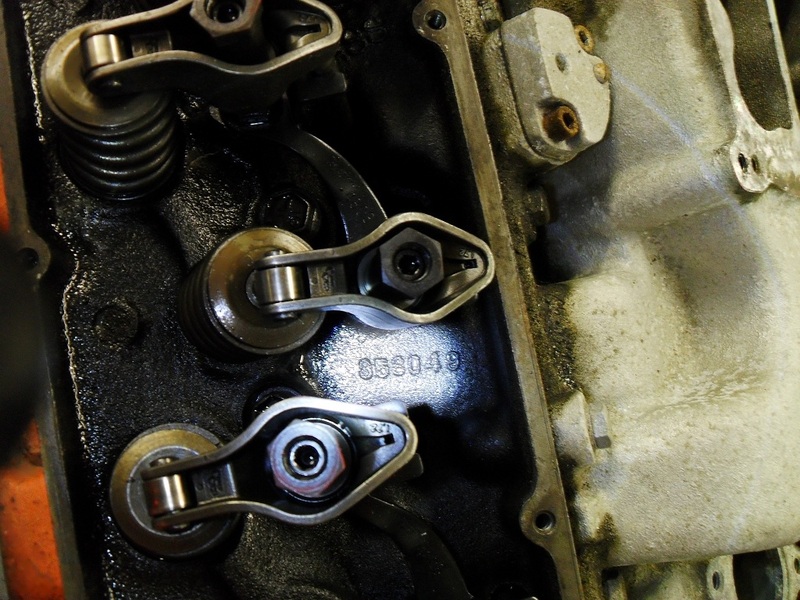 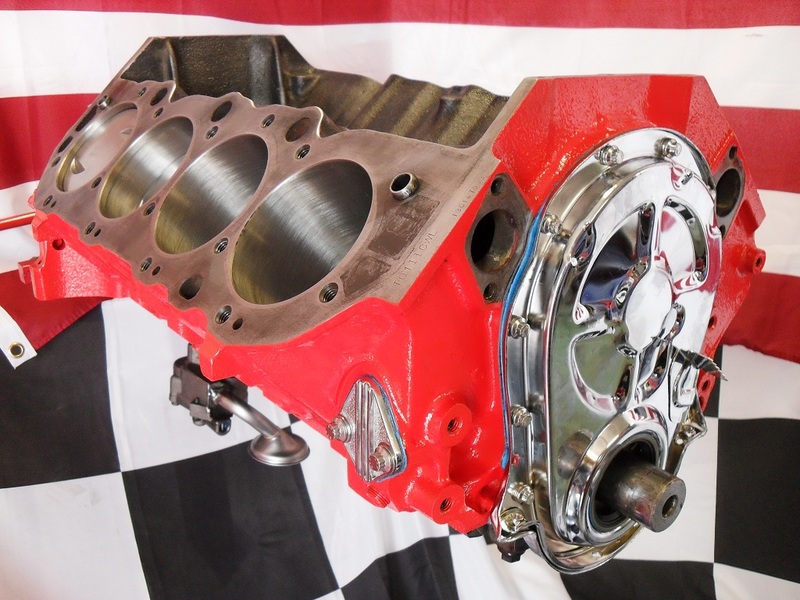 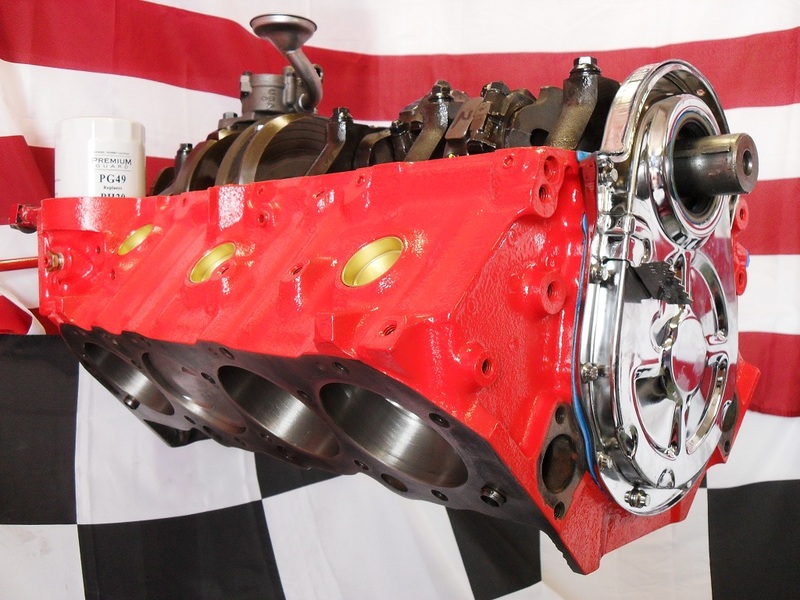 Camshaft fitted is a Comp’ Cams 268H with new lifters and cam bearings, new Cloyes roller timing set and a Moroso cam button to limit fore and aft cam travel and to finish it off a new chrome timing cover. 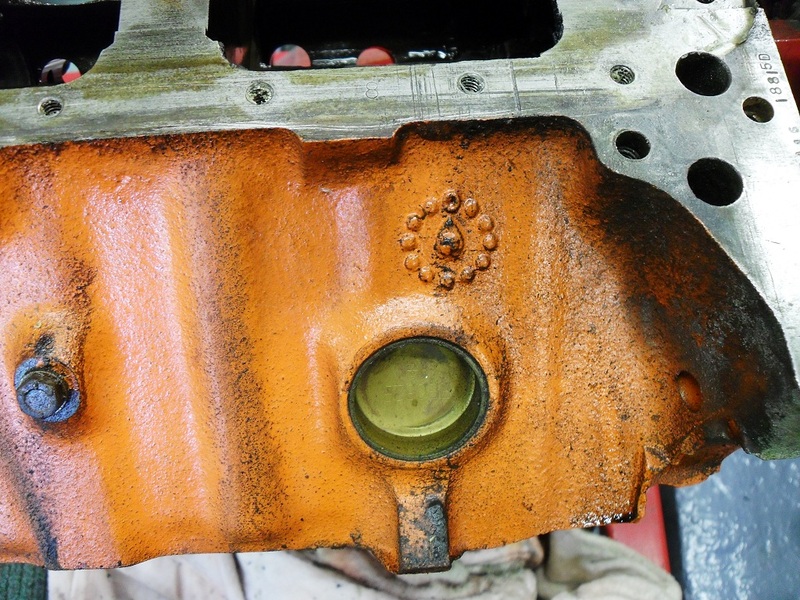 The steel sump has been grit blasted and painted and then thoroughly cleaned again, it has been fitted using a Felpro one piece rubber and metal gasket in place of the usual cork style, easier to use and seals very well, also supposedly reuseable. 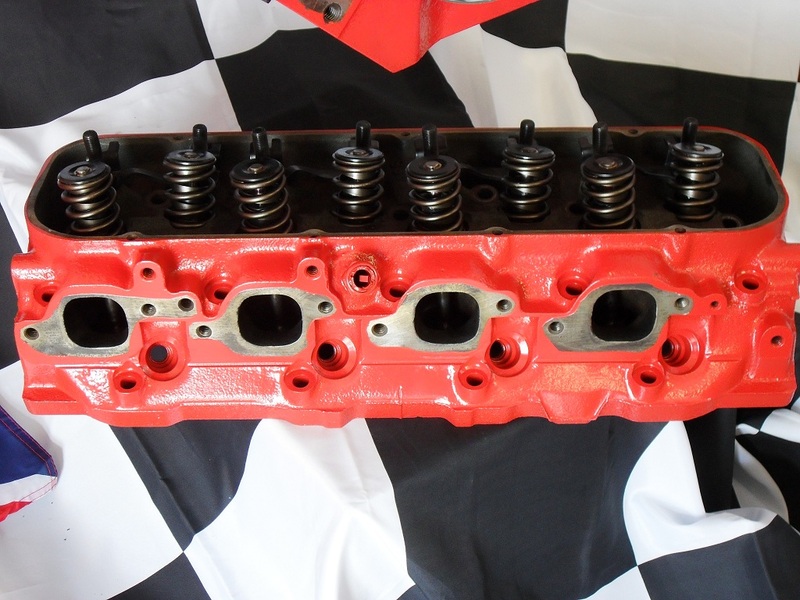 All of the bolts used are new ARP socket head stainless for the acessories and sump etc and new ARP mains and head bolts, using new bolts makes the whole job so much easier and the finished engine looks much fresher and gives a professional finish. 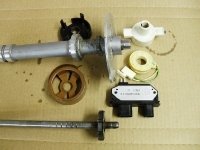 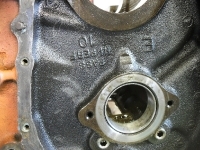 Plans are to use the existing electronic distributor, when it was removed from the old 427 engine it was found to be almost seized, the centre shaft fits into a steel bush pressed into the aluminium housing but the shaft is seized inside the bush and the bush has turned inside the housing, temporary repairs have been made to it but we will change to a billet HEI distributor and MSD 6AL box to improve the ignition circuit after testing and run in.